LAS VEGAS -- A woman accused of throwing a shoe at Hillary Rodham Clinton during a speech in Las Vegas has pleaded not guilty to two misdemeanor charges. 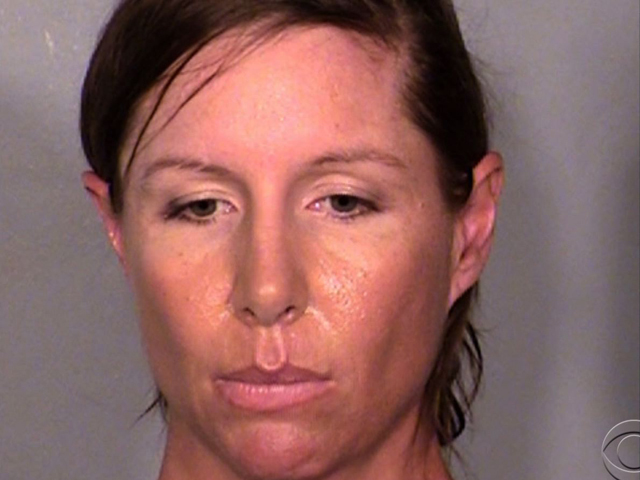 Alison Ernst entered the pleas late Wednesday in Las Vegas federal court to counts of violence against a person and trespassing. U.S. Magistrate Judge Cam Ferenbach found that the 36-year-old Ernst was a flight risk and danger to the community and ordered her to remain in federal custody. He appointed two federal public defenders to represent her and set a June 25 trial date. Ernst is charged with bypassing security to enter the Mandalay Bay resort ballroom where Clinton was speaking April 10 before an Institute of Scrap Recycling Industries meeting. The shoe missed Clinton, and Ernst immediately surrendered to authorities. Moments after the incident, Clinton joked about it. "Is that somebody throwing something at me? Is that part of Cirque de Soleil?" Clinton quipped. Many in the audience of more than 1,000 people in a large ballroom laughed and applauded as Clinton resumed her speech.